Within the field of NLP these programs are called NLP strategies. A NLP strategy is a sequence of cybernetic TOTE models as described by Miller in “Plans and the Structure of Behavior”. All steps within a NLP strategy consider either internal or external behavior and are coded in terms of the five senses: touch, vision, hearing, smell and taste. 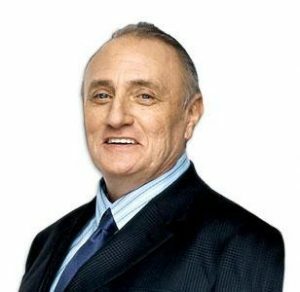 NLP has been co-created by Richard Bandler in the 70s. Richard Bandler is an inventor. There are two kinds of inventors. The first kind takes a good look at our current state of science and comes up with new applications of existing science. The second kind of inventor comes up with something completely new and scientists can thereupon figure out why and if what the second kind of inventor invented actually works. Richard Bandler is both. First Richard Bandler discovered that almost all great therapists of the 50s and 60s were successful despite any theoretical underpinnings of their own. He did find that almost all of them used some kind of hypnosis to communicate in a different way and that they had more charisma. Based on this insight Richard Bandler invented NLP as a new way to apply the practice of hypnosis that was even accepted in the 70s when hypnosis was still a scientific taboo unlike in our own times. Having invented NLP as a way of applying hypnosis elegantly and gracefully, Richard Bandler then expanded NLP to become much more than just the practice of inventive hypnosis. With his philosophical background he added to NLP a form of pragmatism that makes NLP a complete methodology rather than a single technique. That is the reason why NLP not only harbours an extensive number of specific techniques to optimize our behavior, but also has two models for communication and the cybernetic approach to human behavior in the form of NLP strategies. While the first step Richard Bandler took was applying what was known about hypnosis in new and interesting ways, we at ABC-NLP have spent a lot of time finding out what the pragmatic philosophical steps of the second phase entailed. Although we are not saying that our approach is what Richard Bandler envisioned, we are convinced that ABC-NLP follows to the letter and the spirit the original pragmatic philosophical ideas that have formed NLP. If at any point you might want to disagree with that, we would love to hear from you and we’ll have a sound and healthy discussion on its merits.